The crisis in the Greek national team is out in the open once again with Thanasis Antetokounmpo speaking about it and Greek fans attacking verbally the federation brass. A visibly emotional Thanasis Antetokounmpo said only one phrase after the game while speaking to the Greek national television: “Those who want to play for the national team, they should play in the national team”. His teammate Ioannis Papapetrou was asked about the above statement and replied: “You can’t say that. It’s wrong to point someone with your finger. You can’t say that. We have a big game tomorrow and we have to be ready”. Vangelis Mantzaris denied commenting Thanasis’ quote and added: “We couldn’t get back in the game. We have a final tomorrow. We have to win”. 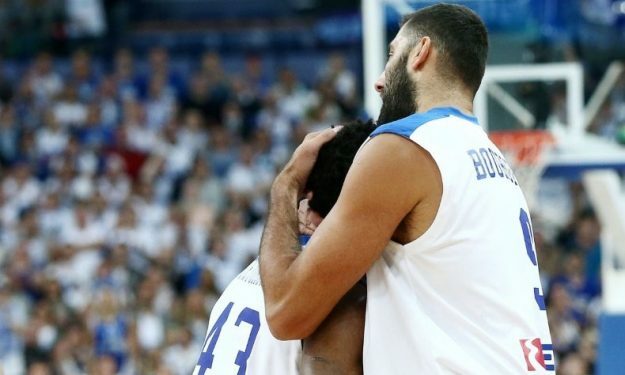 Greece had high ambitions before the start of the tournament, but after losing Giannis Antetokounmpo everything went downhill. After the end of the game, Greek fans verbally attacked the General Secretary of the Greek basketball federation who was present at Helsinki. The president Giorgos Vasilakopoulos had left for Greece one day before. UPDATE: Via Instagram Thanasis Antetokounmpo clarified later that he didn’t mean a specific player, but his word was an effort to boost the morale of the team.